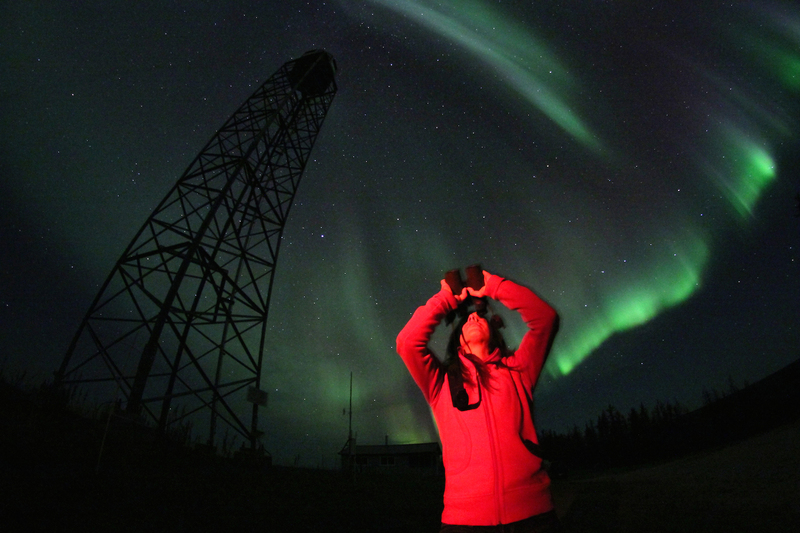 A visitor observes the stunning Aurora Borealis. The beautiful swirl of the Aurora Borealis. 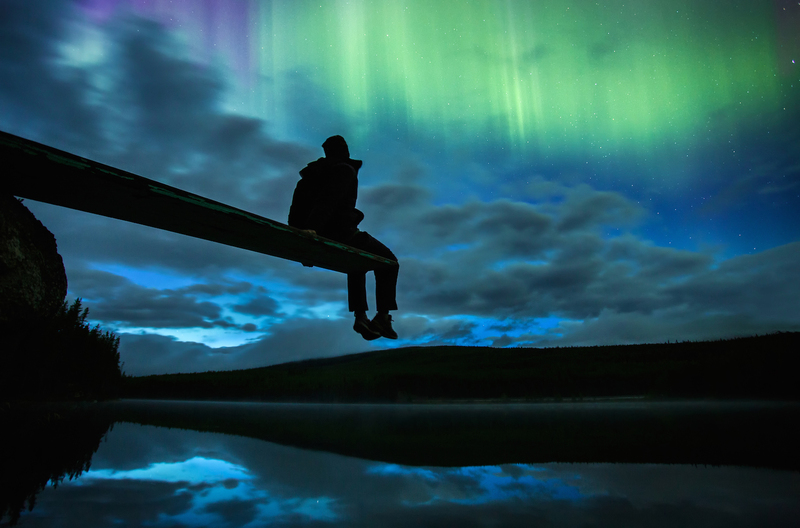 Observing the wonder of the Aurora Borealis from a diving board. The wondrous Aurora Borealis illuminating the Canadian landscape. Experience one of the great natural wonders in the beautiful Canadian north. 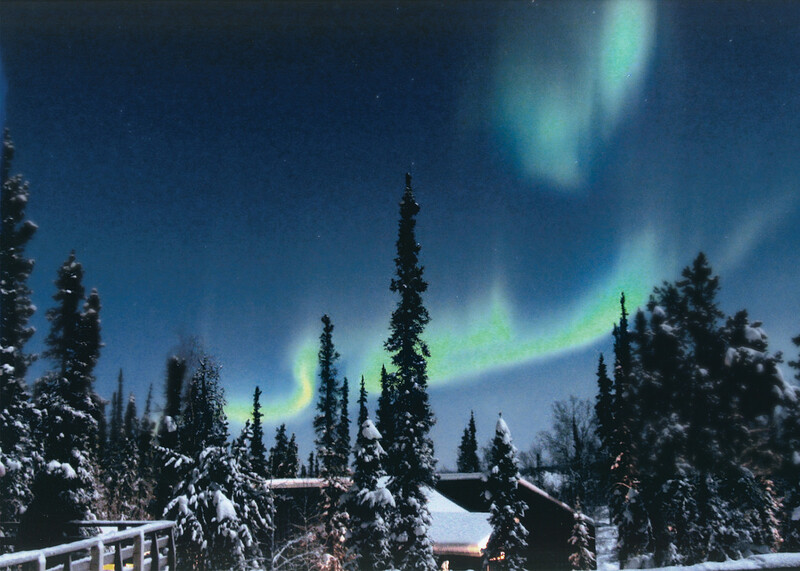 Canada is blessed with dozens of spots tailor-made for witnessing the swirling, bewitching lightshow that is the Aurora Borealis, from far-flung Iqaluit in the north-east of Nunavut territory, to Whitehorse in the Yukon, then south on Ontario’s Manitoulin Island, and far-east to Battle Harbour in Newfoundland and Labrador. But it’s Yellowknife – the capital of Canada’s Northwest Territories – that stands apart. Located right along the magnetic poles’ active auroral band, it’s a hub of super-charged solar winds, with eerie astral displays so reliable that visitors flock to stand in awe beneath the arcs of pulsing, glowing colours. 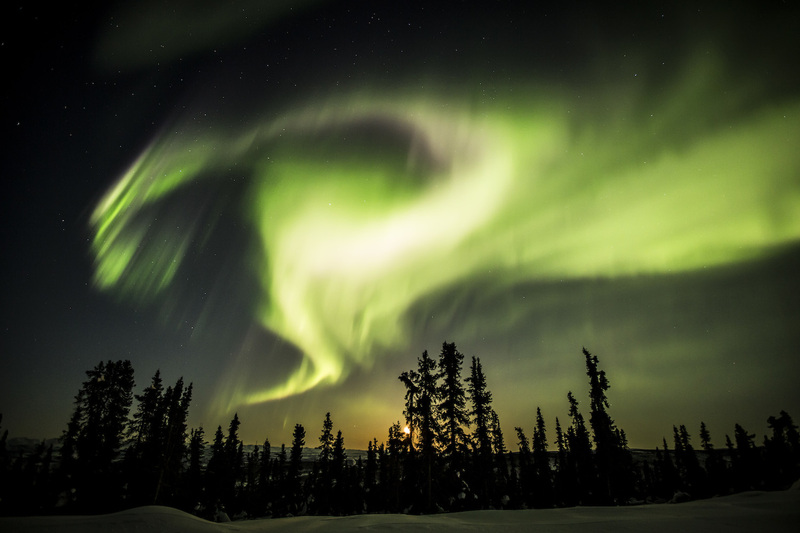 Aurora “day” trips guide you out of town during the night by dogsled, bus or snowmobile to special viewing areas where the city lights won’t intrude and heavily insulated parkas are de rigueur. But with winter temperatures often plunging to minus 30 degrees, rugging up sometimes isn’t enough – why not extend your stay in an Aurora lodge? Choose from luxury log cabins on the edges of lakes (perfect for capturing dramatic aurora reflections), to remote island lodges that can be reached only by seaplane. Then it’s just you, a mug of steaming hot chocolate, and one of nature’s enthralling nocturnal spectacles. 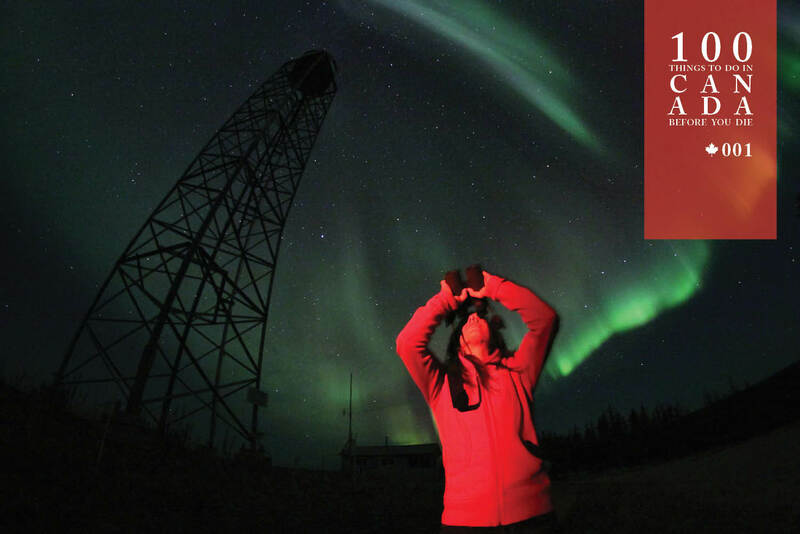 All you need to do is just look up to catch the Aurora Borealis in the skies above the Northwest Territories from late August to mid-April every year with adventureworld.com.au. For more go here. The city of Yellowknife lies on the shores of Great Slave Lake, 400 kilometres south of the Arctic Circle, and serves as the stepping-off point to the varied communities of the Northwest Territories.